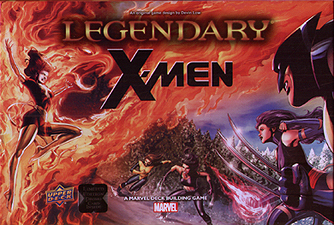 The X-Men are returning to Legendary in a big way! New characters such as Psylocke, Cannonball and Dazzler are joining the X-Men team for the first time in this huge expansion! New two-sided Epic Masterminds will challenge even those who have mastered Legendary: Dark City. Will you be able to use the brand new "Horror Cards" and still beat the game? Ready your Fastball Special to find out, this is Legendary: X-Men!